Dealing with the legal system can be overwhelming for anyone. Gail B. Goodman strives to help her clients understand the court process and prepare for legal proceedings. 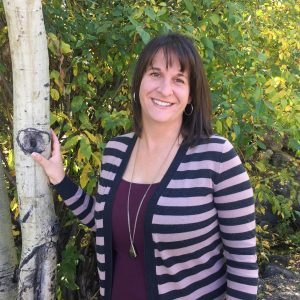 After graduating from law school at the University of Colorado, Gail spent the next three years as a judicial law clerk in the 8th Judicial District (Larimer County). As a law clerk, Gail realized the firm’s attorneys provided the competent and compassionate counsel that aligned with her practice philosophy. Gail joined the firm in 2010. Gail’s practice areas include family law, criminal defense, estate planning, probate, guardianships/conservatorships, and adoption cases. Gail is just as active outside of the office. Most weekends, Gail can be found hiking or snowshoeing on Colorado’s numerous trails. Gail has volunteered as a mentor with Partners Mentoring Youth since 2007. She is a member of the Larimer County Bar Association and the Larimer County Women’s Bar Association. Additionally, she serves on the Judicial Performance Commission for the 8th Judicial District, the Board of Directors for The Center for Family Outreach, and serves as the community attorney on the Colorado State University Student Legal Services Advisory Board.